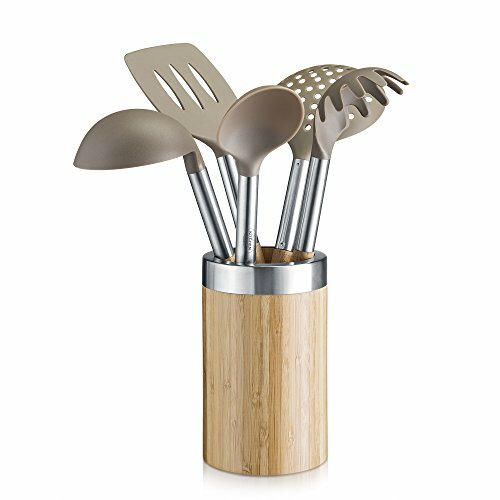 ACACIA WOOD GRIPS – Reinforced with a stainless steel handle this utensils are durable as well as aesthetically pleasing. 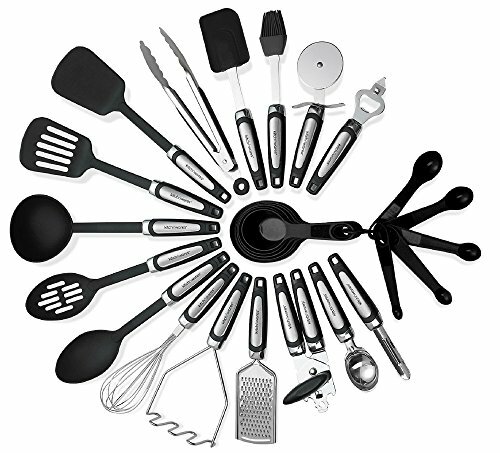 NYLON UTENSILS – Made from top-quality Nylon it is safe to use on all cookware including non-stick. EASY TO STORE – Comes with a beautiful Crock made from Acacia wood with a stainless steel trim. 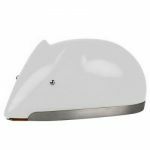 HIGH-QUALITY: All kitchen tools available in this kitchenware are FDA approved, non-toxic, anti-dust, non-sticking and safe for your cookware, bakeware and dishwasher. The nylon pieces are also non-stick, and are heat resistant up to 410 °F / 210 °C. 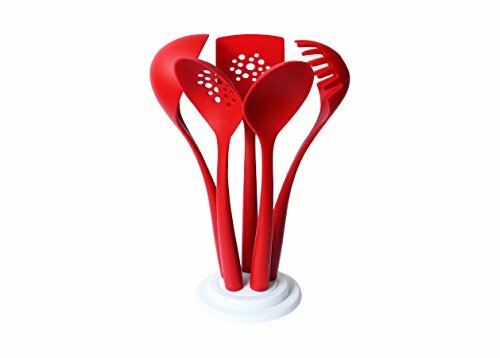 ☆ INNOVATIVE 5 PIECE KITCHEN SET WITH STAND keeps kitchen utensils organized. No more digging in kitchen drawers with tangled, hard-to-find utensils. It takes just an instant to grab the exact utensil you need from this stand. 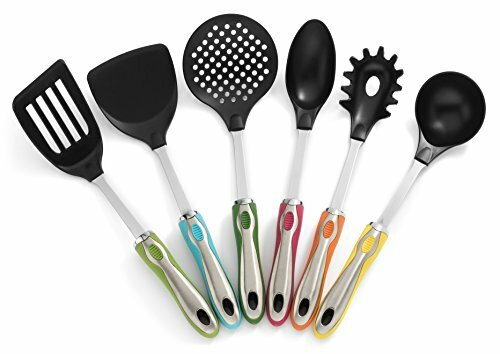 ☆ OUR COOKING UTENSILS SET: Whether You Need a Turner for that Burger, or Spoons for Serving up That Perfect Dish, this Utensil Set Does it all. The Nylon Ladle is Perfect for Soups or Homemade Gravy .Unique design and functionality. 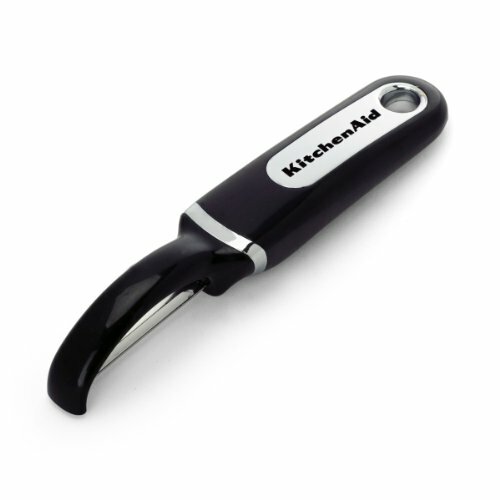 Large handles ensure maximum control whilst cooking. 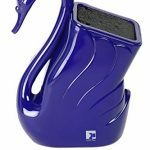 This Restaurant Style Cookware & Kitchen Gadgets is also a good Gift for different occasions. 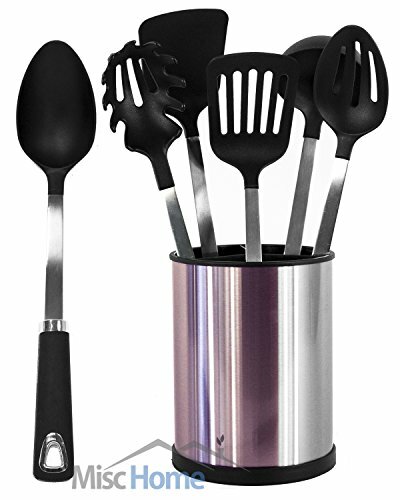 SUPREME QUALITY – Made from engineered 304 high grade stainless steel, this cooking utensil set will last you a lifetime. 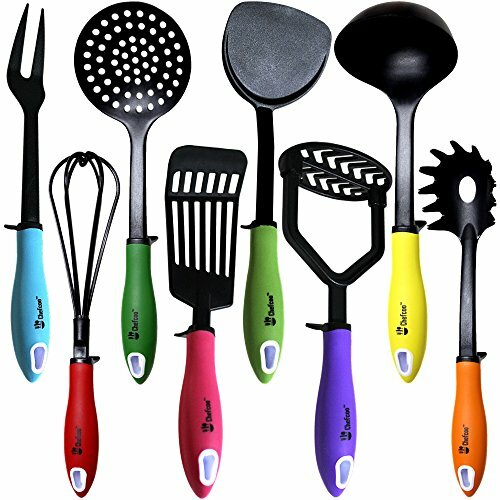 Premium quality constructed kitchen utensils with non-slip rubber grip handles. Heat resistant hard nylon tips for easy use. 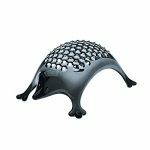 All of these essential kitchen utensils are easier to take care of than silicone kitchen utensil sets. Ultra-durable, strong, and completely machine washable. 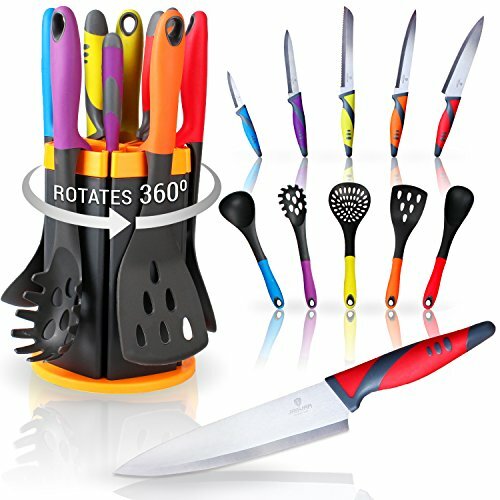 Perfect starter set for any kitchen, the Total Package. 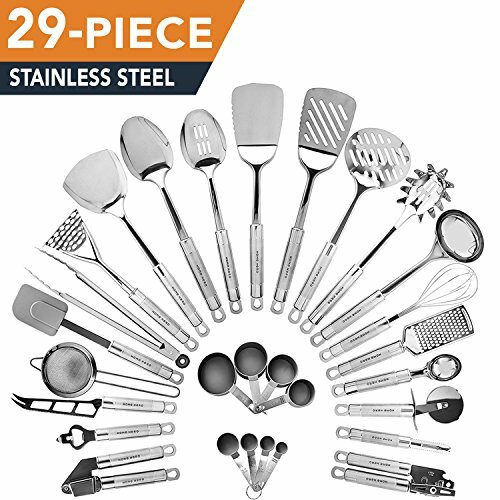 BEST VALUE – For these high quality stainless steel cooking utensil set and with the rotating stainless steel kitchen utensil holder, you will NOT find a better price. 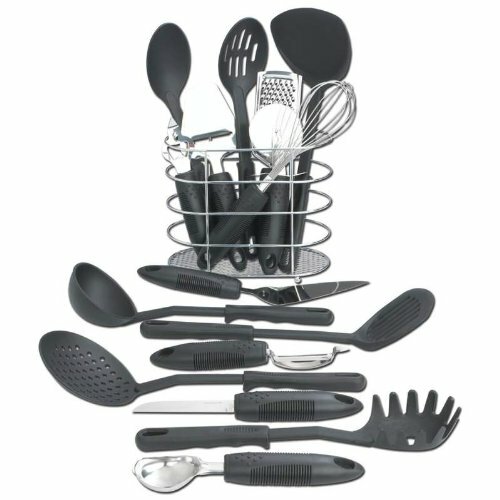 To buy similar sets and holder will cost you over $50, This is the perfect package for any modern kitchen.